Our AHA BLS Provider Course and AHA HeartCode BLS Course are perfect for healthcare providers, students, and students that need to renew their certification. The courses provide an excellent general grounding in BLS and will enable you to perform appropriate first aid procedures and basic life support skills. This unit satisfies training requirements across a range of community and workplace settings. Our Heartsaver CPR-AED Course and Heartsaver Pediatric & Infant CPR Course teach how to to recognize cardiac arrest and respond to and manage an emergency until EMS arrives. Skills learned include the basics of First-Aid, CPR, AED, and relief of choking in children and infants. If it is your duty to respond to a cardiac emergency because of job responsibilities or regulatory requirements, these classes are for you. Our First Aid Training Course and Pediatric First Aid Course cover first aid basics for the most common first aid emergencies, including how to recognize them, how to call for help, and how to manage illness and injuries in the first few minutes until professional help arrives. The courses are recommended for those who have a duty to respond to a first aid or cardiac emergency because of job responsibilities or regulatory requirements, as well as for parents and guardians, teachers, coaches, and troop leaders. If any of these describe you, you probably already qualify. Call 248-313-2275, and we can assist. Excelling Nursing Academy does not and shall not discriminate on the basis of race, color, religion (creed), gender, gender expression, age, national origin (ancestry), disability, marital status, sexual orientation, or military status, in any of its activities or operations. These activities include, but are not limited to, selection of students, hiring and firing of staff, selection of volunteers and vendors, and provision of services. We are committed to providing an inclusive and welcoming environment for all members of our staff, clients, volunteers, subcontractors, vendors, and clients. 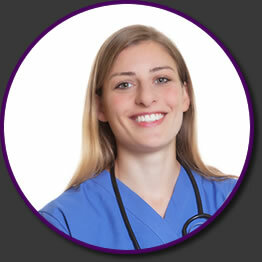 Excelling Nursing Academy is an equal opportunity employer. We will not discriminate and will take affirmative action measures to ensure against discrimination in employment, recruitment, advertisements for employment, compensation, termination, upgrading, promotions, and other conditions of employment against any employee or job applicant on the bases of race, color, gender, national origin, age, religion, creed, disability, veteran's status, sexual orientation, gender identity or gender expression. We provide quality AHA training at an affordable price, including Heartsaver® First Aid CPR AED and Pediatric/Infant CPR courses. We train health care professionals, corporate and industrial employees, day care workers, teachers, lifeguards, students, and parents. 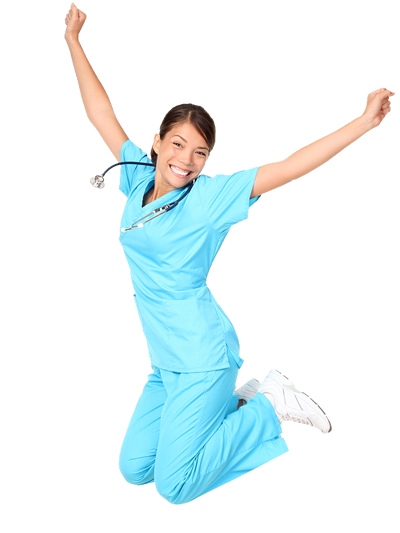 Certified Nursing Assistants are essential in the overall operations of any health care facility or home health care agency. 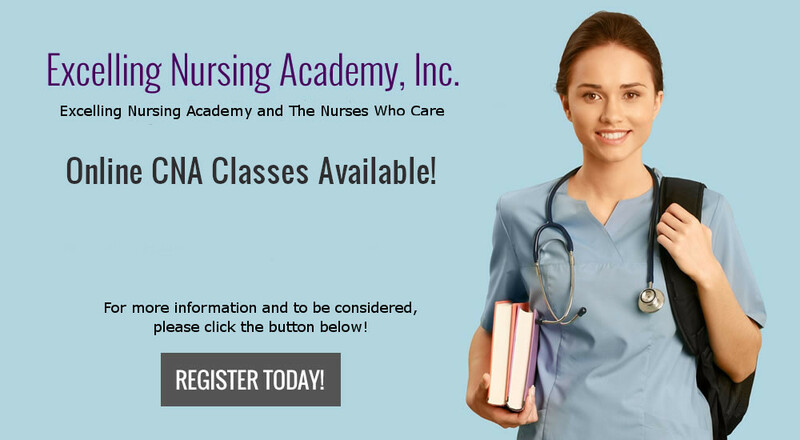 Our Certified Nursing Assistant (CNA) Course is designed to present the knowledge, terminology, and basic nursing skills necessary to become a certified nursing assistant, especially in reference to long-term care facilities.